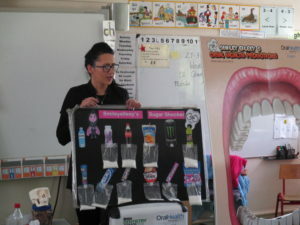 Eileen, a dental hygienist, came to our school. 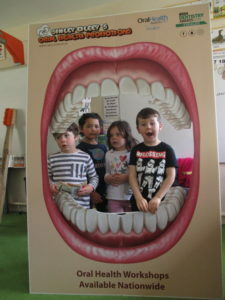 She told us why it was important to look after our teeth. 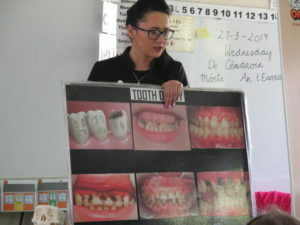 We saw pictures of teeth that were rotting because they were not looked after properly, they were very ugly. She also informed us about the amounts of sugar in many of the drinks we drink and sweets we eat. It was interesting to learn that flossing adds 6 years to your life as it helps gets rid of bad bacteria and stops infections in the body. She showed us how to brush our teeth properly and gave us all a new tooth brush and toothpaste. 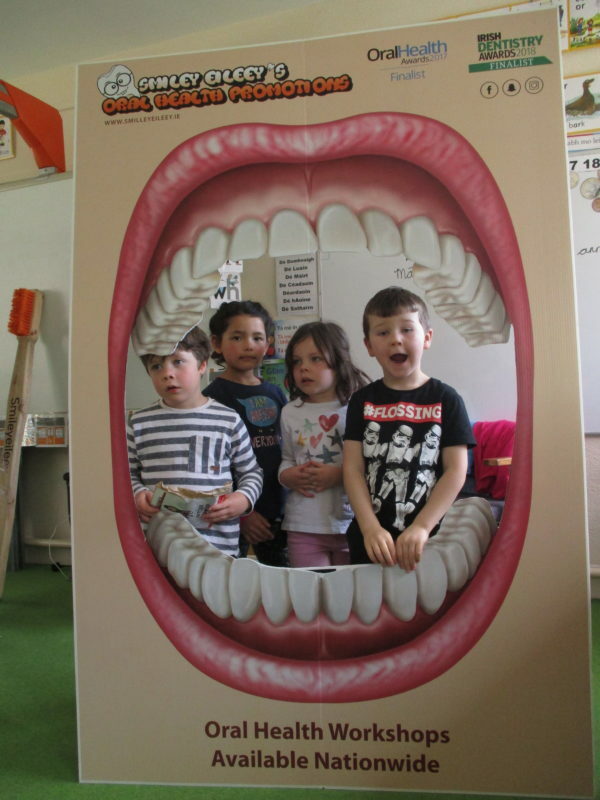 We had our pictures taken in her giant pop-up mouth.